Savio Salesian College has made a sustained contribution to the education of its students since 1965 and, underpinned by our Catholic ethos and the foundation of the Salesians of Don Bosco, continues this mission into the twenty-first century. We challenge our students to become reflective and creative thinkers who embrace their lives with optimism, imagination and the confidence and courage to think for themselves. We maintain high expectations of all members of the college, staff and students alike, challenging them to be the best they can be, academically, socially, emotionally and spiritually. We all actively work to make a significant and positive contribution to the community, local, national and international. We are committed to the preparation and training of high quality teachers and support staff. we all strive actively and purposefully to make the vision and mission of the college a reality. We create a community which is welcoming of all cultural traditions in a climate of joy, tolerance and respect. Endeavouring to build a community which recognises that all are made in the image and likeness of God. Providing our students with a curriculum which is tailored to their individual needs and talents. Always behaving in a professional manner: in how we present ourselves; in how we prepare our work and conduct our teaching sessions; in the respect we show to one another and to our students. Ensuring that we are all ever alert to, empathise with, and respond positively to, the circumstances and needs of others. Always having the highest expectations of ourselves and of our students, and providing a happy, safe, secure and well disciplined environment in which our students can thrive. Applying agreed policies and procedures consistently, so that all are clear about our expectations and are treated with equality and fairness. Establishing and maintaining good relationships with our stakeholders, including our Governors and parents, the Salesians of Don Bosco, the Archdiocese, the Local Authority, our business partners and the Department for Education. We at Savio Salesian College continually strive to provide a high quality education for the students whom we are privileged to have entrusted to our care. 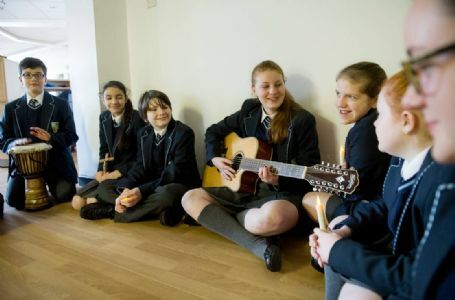 Our Mission at Savio Salesian College is to be a Catholic School that seeks to appreciate and develop the talents and skills of each individual. Inspired by the life of Christ and the work of St John Bosco, we endeavour, through active partnership with home, parish and the wider community, to prepare our students to face the future with confidence. We will enable them to take up the challenge of the Gospel and its universal values of Faithfulness and Integrity, Dignity and Compassion, Humility and Gentleness, Truth and Justice, Forgiveness and Mercy, Service and Sacrifice, Friendship and Peace. Through prayer and the opportunity for reflection we look to fill our young people with optimism and hope for the future. At Savio Salesian College we believe that clear expectations regarding responsibilities and behaviour are important in maintaining a successful and happy atmosphere in school. 1. Pupils have the right to learn. 2. Teachers have the right to teach. 3. Everyone has the right to respect. 4. Everyone has the right to be safe. We expect our pupils to accept that they have a responsibility to respect and co-operate with the Mission and shared values of the school. Savio Salesian College is a Restorative Justice school. This means we aim to resolve any disputes between pupils or between pupils and teachers so that all concerned are satisfied with the outcome. This is helpful in developing relationships which are positive. It is a time-consuming process but one with which we have had much success.